I’ve recruited ELL, Art and Spanish classes in my building to work on creating digitally fabricated art pieces for publishing on Thingiverse. We are discussing creating a challenge for other schools around the world. We are also looking for sponsors that would be willing to contribute prizes. 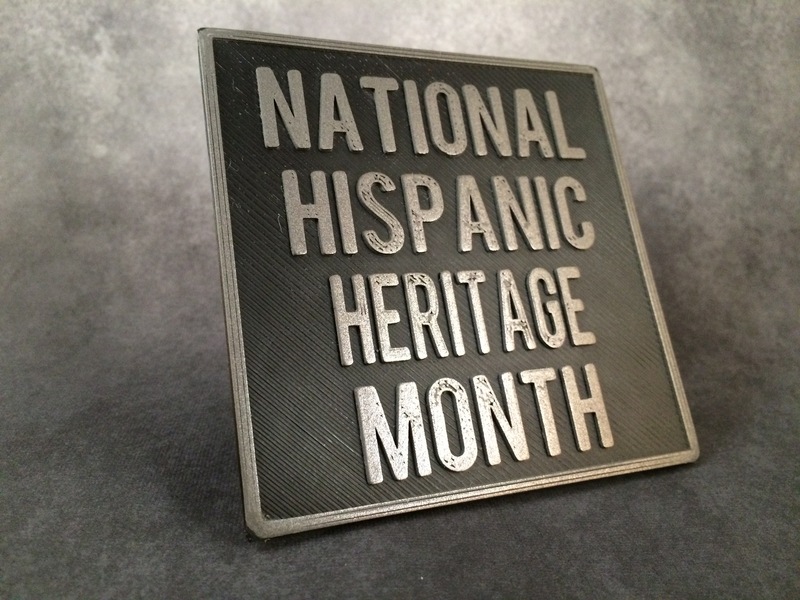 To get things started and have a place to post student designs, I’ve created a National Hispanic Heritage Month group on Thingiverse http://www.thingiverse.com/groups/hispanic-heritage and a collection http://www.thingiverse.com/DesignMakeTeach/collections/hispanic-latino-heritage-and-culture . Please join the group and suggest additional models for the collection. I also have posted two designs as an example to students for posting and key wording. http://www.thingiverse.com/thing:1010771 and http://www.thingiverse.com/thing:1010408. Hopefully, ELL and Spanish students will post bilingual descriptions of their art work. Thanks to Vicente Gascó @vicgasco for the Spanish language links. I am very hopeful that this makered project will bring even more diversity to Thingiverse while giving students a rewarding maker learning experience that integrates hands on learning with their content area. Please contribute this project by joining the effort on Thingiverse and leaving a comment.